Ooh, the scarves look great! I have deep, dark plans for most of my sock yarn stash and it doesn't involve tubular knitting for the feet! I've been eyeing the new Schacht Cricket for the second portable loom (to take to work, as the 16" harp is a bit cumbersome). I'm so glad you got bit by the weaving bug! Wow, those are really lovely woven scarves! Damn, I never thought I would want a loom so freaking bad. Those scarves are gorgeous! The scarves are amazingly beautiful. I especially like the colours! Beautiful scarves! The colors are beautiful. I recently got a Schacht Mighty Wolf which I am absolutely in love with! I've been making towels, but I have tons of sock yarn and laceweight (lots of alpaca silk from Webs) that I plan to use for scarves. Love the scarves! You do so many things, where do you find the time?! Amazing loom work. Love what the yarn works up to. How long would you say it took you to do the warping part? I couldn't bring myself to pay close attention to the schact page. Made me want to have a loom to try it on so I could understand it better. I, who wasn't even going to try spinning until at least summer of next year, built a spindle and am trying to save some money for a wheel. 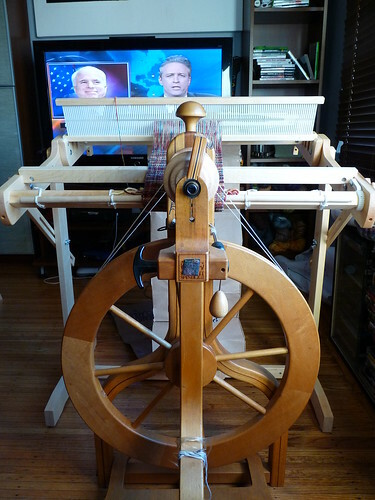 I'm only trying to look at tabletop looms from a very, very long way away (try close to semi-retirement years), so seeing your schact looking so good in front of that tv is working on the credit card gene. My credit card gene says it deserves a flip folding tabletop loom. I told my credit card gene, very firmly I must say, that it needs to get a real job and its own room. P.S. 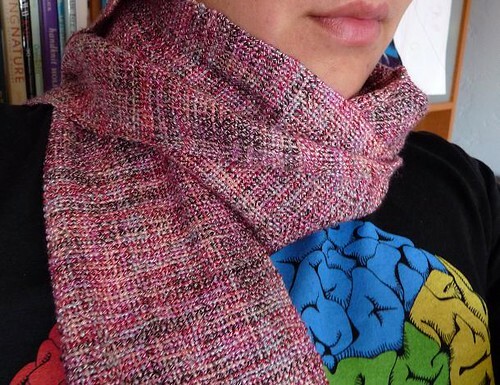 Funny blog on t-shirts and scarves. 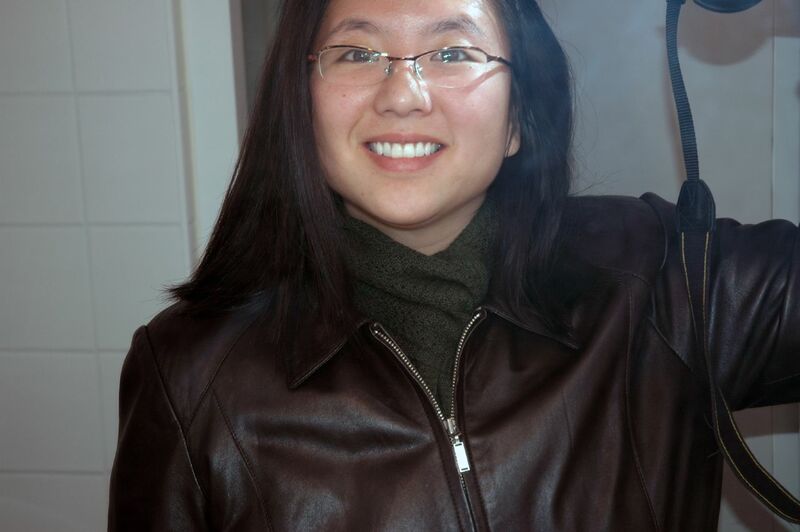 I don't mind people wearing scarves with t-shirts especially the jewelry-looking scarves, but it bothers me to see people in a minidress, thigh boots and a cropped fur jacket in the winter time. I get cold just looking at them. Those look beautiful! And way to stash-bust. Good lawd woman, do I dare say I wanna be like you when I grow up! I've been trying hard to avoid the weaving temptation. Please don't post anymore pretty pictures, K? But seriously, GOOD FOR YOU! 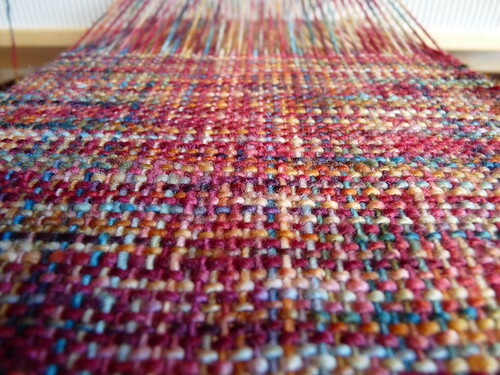 Looks great, and I can't wait to see more weaving posts. stop, stop, stop, stop, STOP! i JUST bought a spinning wheel for crying out loud! the scarves are so cool. why? WHY do they have to be so cool? You know what's funny. I have a 20 year old Matchless too. And it's the same color as yours. Mine was raised in Michigan and only recently relocated to California. Funny how they turned out quite similar considering the alternative locations. Gorgeous scarves! Makes me want to go and get myashford rigid heddle out of the loft. 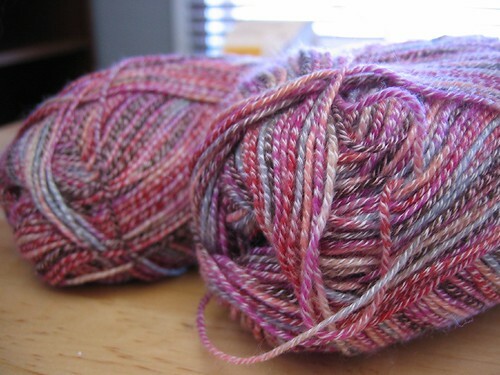 How much of the 'fall foliage' yarn did you have? 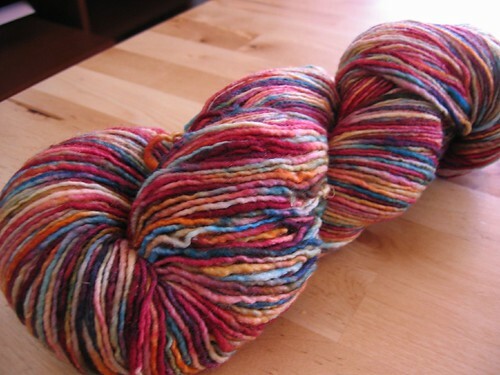 One skein? Now what have I got in my stash that I could scarf up...? I absolutely love woven scarves. I give myself a holiday treat and buy wool ones on etsy. Maybe you could make some for etsy? ::sigh:: So jealous of you and loom. I think weaving looks lie so much fun. One day I will succumb to the loom love, I can just feel it. Plain and Fancy yarn is great stuff. I buy some every year at our local sheep & wool festival. The Plain & Fancy shop comes to our festival and I always like to get there early to get their yarn before all the good colors are gone. They go quick! Your scarves look so lovely! Nice yarn choices. Great write-up on the Flip, luckily I have one (just like yours) or I would be cruising for one after reading your post. I need to warp it again! Thanks for the details on the reed, etc. Its beautiful! I wish I could weave too. Beautiful scarves! 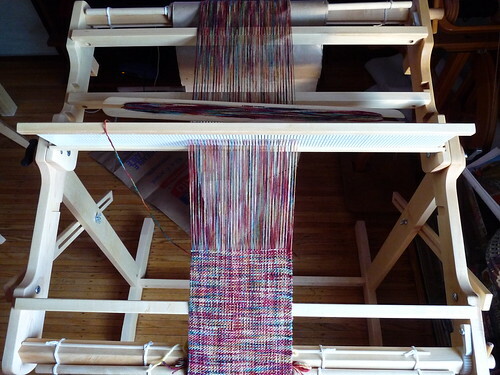 I'm coveting a loom, and your projects are definitely making me yearn more! You must stop this insanity. 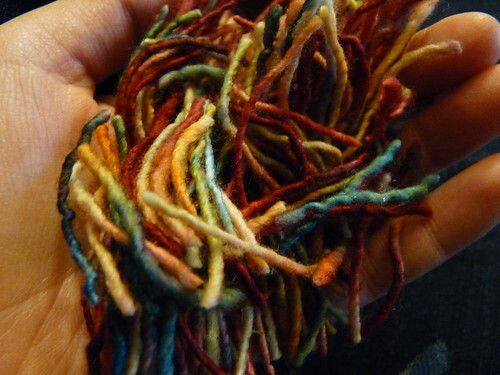 I've already gone from knitting to spinning and sometimes dyeing; weaving would be just too much. Do you hear? I just got a loom as well - and decided against the stand - you're right using it against a table simply does not work, I found, however, that it works great sitting on the floor. I think, in scanning through the comments I saw something about dyeing - I spin and had a handful of fluff left over from a recent batch, carded it, and used turmeric (does not need a mordant) - totally cool colour of yellow! I got the 20" in November and have yet to make something with it. I think it's "analysis paralysis" syndrome, but after seeing your beautiful scarves, I think i'm going to get it out of its wrapper tomorrow (was even thinking of selling it on Rav) and get started! i am just starting to research RH looms and came across you blog. these scarves are gorgeous!!! 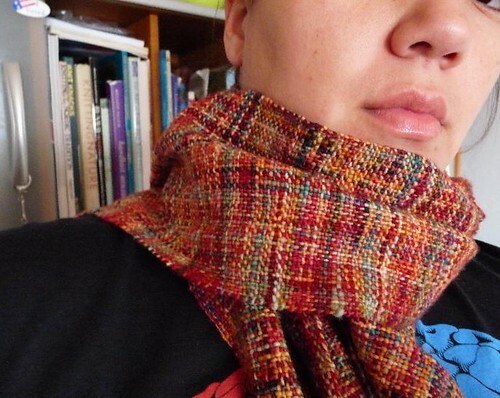 items like this are why i want to begin weaving. thanks for posting. I love your scarves! While I have done some basic weaving on very simple looms, I am looking to do this on a more serious level (although I consider myself to be a beginner) and so I am considering the Harp and the Flip. I know I want a fairly wide weave, hence the Harp, but I am also drawn to the Flip for some inexplicable reason. I like the Harp also because of the built-in warping board. I wish I could afford both, but, I can't. 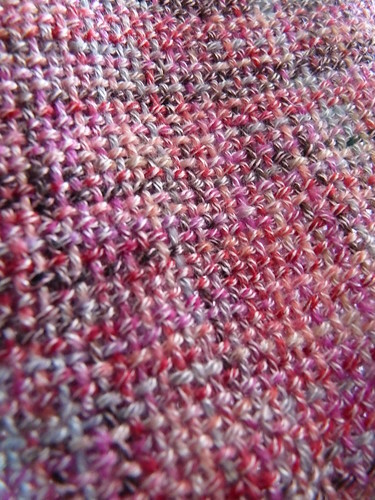 Now that you have woven on the Flip for a while, do you still like it? Are there any major differences in performance? Further observations would be appreciated. you don't have to use the arms. i think even with the 25" Flip that just the side wing nuts will hold it fine. the arms sometimes get in the way and yarn can catch on it. if you don't use them, it is also easy to unscrew the wing knobs, pull it off the stand, fold it and go! you are doing some AWESOME projects!